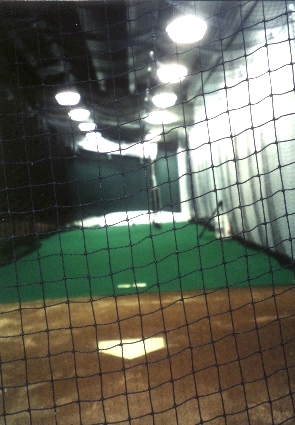 This is the indoor batting cage for the visitor's. It is right behind the visitor dugout. There are 2 of them, with pitching mounds and pitching machines.